Are y’all fans of the show Nashville? Well, if you said yes… I’ve got AMAZING news for you. It’s my absolute FAVOURITE show and I would recommend it to anyone that hasn’t seen it. I was lucky enough to head to Nashville and head ‘Behind The Scenes’ of where the show was filmed. For the next 7 days I’ll be posting pictures and exclusive footage so be sure to check back. I’m taking you ‘Into The Circle’ click on the video below to find out what that means. In this segment I get to visit the same dressing room that Rayna James, Scarlett O’Connor, Maddy and Daphne Conrad would have used on the show Nashville. 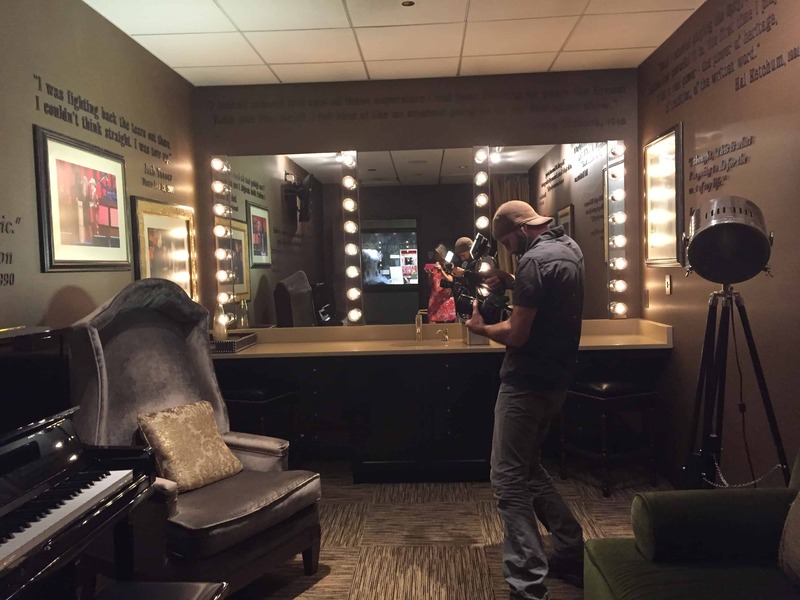 Find out what scenes where filmed right here and what country stars would have used this room. Here’s a ‘Behind The Scenes’ shot of our ‘Behind The Scenes’ footage. That’s my camera man Jeff. He has an amazing documentary that you should definitely check out. It’s called Any Day Now. To check out the trailer for his film click here. Check back tomorrow for another Nashville post.